Buying a home for the first time can be an overwhelming adventure. Most millennials graduate from school with a sizable student loan debt. Your student loan debt may interfere with your ability to get a home loan. Aside from that, it can be downright uncomfortable to meet with a loan officer before knowing what you can actually afford for your first home. The frequency of online mortgage lenders is increasing, and even traditional lenders are more active on the Internet. This new system offers convenience and quick answers while maintaining your privacy. Before you go house shopping, you have to know your numbers. Ideally, you will want to get at least three quotes before you choose a mortgage in order to determine how much you can really afford. You should also get preapproved before house shopping, because once you find your dream home, the process will move through rather quickly. In addition, get familiar with government backed loans, such as the FHA loan, the most popular government-backed loan, which allows buyers to make a low down payment, as little as 3.5% of the purchase price. Familiarize yourself with the facts about FHA loans to see how well it fits with your circumstances. The other two options allow for zero down payments, but they come with restrictions. You can potentially qualify for a V.A. loan if you've served in the military. And if you're looking at purchasing a residence in a rural area, you might qualify for a USDA loan. 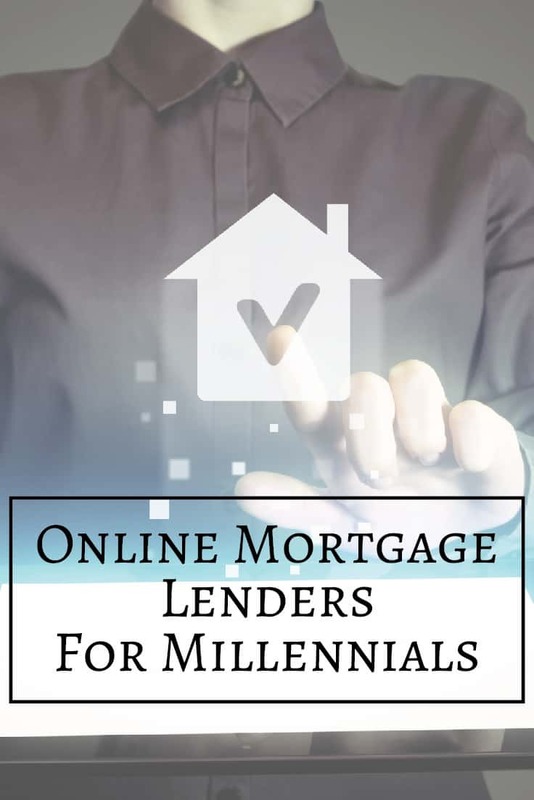 Here is a breakdown of the best online lenders for millennial and first-time homebuyers. Shortcut For Refinancing: If you don't know where to start, check out Credible's Mortgage Refinancing Tool. They are like the Kayak of loans, where you can compare multiple lenders instantly with one easy form. Check it out here and see in minutes what you could qualify for. Shop Credible here. Credible is the newest online mortgage lender to enter the space. They aren't actually a lender, but an awesome comparison platform that handles the entire process end-to-end. What's great about Credible is that they are shopping the major lenders for you - online, from the comfort of your home. And unlike other tools, this isn't a service where they just send your contact information out, they actually do the work and present the best rates and terms for you. Your information is safe with them. Right now Credible is only offering mortgage refinancing, but we hope to see that change in the near future. Bottom Line: Credible is the best place to compare mortgage refinancing rates online in minutes. Check it out here. Lenda, with its target demographic being millennial, offers an online loan application process that can provide a loan approval in less than an hour instead of usual three days. Lenda is good option for candidates with higher incomes and higher credit scores. Lenda evaluates candidates based on credit history, documentation, underwriting and regulatory compliance. While Lenda doesn’t charge a loan origination fee, it adds its costs into the interest rate. Still, there are no upfront origination or broker fees. Although Lenda does not offer government loans, but it offers several flexible options designed to suit you and your set of circumstances. Like most of its competitors, you can do it all online - get a free credit check, upload and sign your documents electronically, and track the progress of your loan through the user dashboard. You will see rate comparisons without providing your personal information. Their suggestion engine will evaluate your inputs and make suggestions as to how to lower your rate. Bottom Line: Lenda is a good option for higher income borrowers who are seeking non-government loans and don’t want to pay upfront fees. Read our full Lenda Online Mortgage review here. ​LendingTree has quickly become one of our favorite comparison tool for online mortgage lenders because of how quick and easy it is to get started – and how painless they make the process. ​What I like about them, instead of having to go to multiple different lenders and enter your information to get a quote, you can get multiple offers right on their site. ​They make the process easy to enter your information, and in about 5 minutes you’ll know what you’re potentially approved for. ​Try it out here and see in just 5-10 minutes. ​Bottom Line: LendingTree is a good option for borrowers looking to compare multiple lenders quickly. They have a variety of loan products that borrowers might be interested in. Guaranteed Rate offers a wide variety of mortgages online, including conventional, FHA, VA, USDA and jumbo mortgages for both purchases and refinances. Borrowers can see their free credit scores from the three main bureaus. You can also digitally sign and securely upload all of your loan documents. Once you enter your loan amount and zip code, you will see loan rates and product options without providing your personal information or filling out a contact form. Here, you have the option of speaking to a qualified loan officer. You will need a minimum credit score of 620 (600 for FHA loans), a stable income and a well-established credit history. Guaranteed Rate works with borrowers who may not have a high down payment, but are otherwise good candidates for a new loan. While there are up front fees of $1,040 for the loan origination fee and a $150 application fee, they give a $250 credit for Digital Mortgage customers, which helps offset the costs. Bottom Line: Guaranteed Rate offers a wide variety of home loans, including FHA, ideal for borrowers who do not have a high down payment. 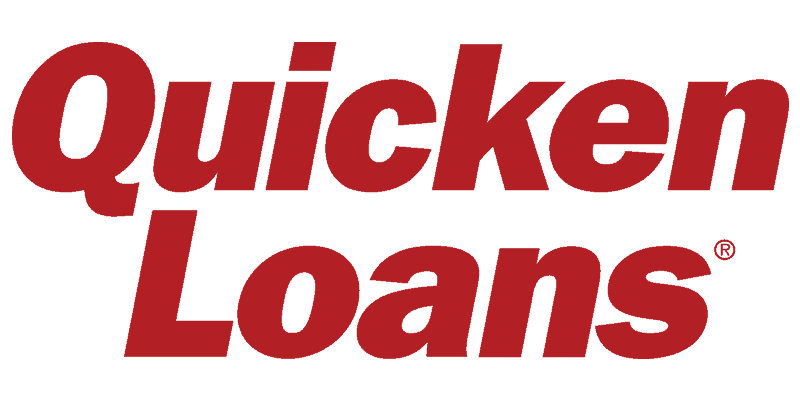 Quicken Loans was already an online lender, and it now offers an online only interface, a service portal called Rocket Mortgage. You can fill out an online application and also get access to mortgage advisors. Through the Rocket Mortgage website or mobile app, users can easily upload financial details and get a loan decision in minutes. Rocket Mortgage provides fixed- or adjustable-rate home loans, mortgage refinancing, and jumbo loans. You can select the loan and interest rate, and then lock in the interest rate. They can e-sign and create the original application without speaking to anyone. With your consent, Rocket Mortgage can verify your employment, income, and assets with your personal information and access to your financial institutions. Within minutes, you will find out the loan amount you qualify for. The determining criteria is primarily based on credit scores and debt-to-income ratios. Rocket Mortgage provides first-time homebuyers FHA-backed loans, as well as products offered by Freddie Mac and Fannie Mae that require down payments as low as 3%. Once approved, you can lock your interest rate and print out an approval letter. If your loan application is denied, you can speak or chat online with a mortgage banker to find out why and what you can do to be approval-worthy. Bottom Line: A fast and good option online option for a variety of loans that offer low down payments. SoFi﻿ offers flexible lending options to applicants that would be traditionally rejected. While other lenders are likely to reject applicants based on credit scoring criteria and debt-to-income rations, SoFi will examine disposable income and other indicators of responsible borrowing habits as criteria for loan approval. Many SoFi borrowers admit they would not have qualified for a home loan without SoFi mortgage and its unique criteria for loan approval. SoFi offers flexible down payments ranging from 10% to 50%, even on jumbo loans. In just one sitting, SoFi can provide an upfront, loan pre-qualification. You are an ideal candidate if you are consistently in the high-income bracket, have savings, and a reliable history of making timely payments. Expect to make a minimum down payment of at least 10% of the purchase price for new loans. Average closing time of 28 days. SoFi requires a minimum loan amount of $100,000. SoFi does not require PMI on any of its loans, even when the down payment is less than 20%. Further, SoFi does not charge loan origination, application or broker commission fees. In order to get quotes, you have to sign up for an account and provide personal information. Bottom Line: Fast approval and flexible options. Mostly ideal for high-income earners who have saved up for a 10% down payment. SoFi also provides student loan refinancing. Read our full SoFi Mortgage review. If you don’t have that 10% down payment ready to go, don’t be discouraged. Whichever option you decide, take a moment to review your credit report, income, and expenses, and then get at least 3 quotes before meeting with a loan officer, or even before going house shopping. Before you select a lender, take steps to improve your credit score for the best results, and you will get your dream home in no time.